Just wanted to do a different type of post today and share a few things happening with me and the blog. I would like to say welcome to all my new friends on the blog. I hope you stay a while and thanks for following. 2. I mentioned as part of my goals for 2014 that I wanted to learn how to make some nice graphics. I've been using PicMonkey for my collages and just recently paid the yearly subscription (not sure what I paid for yet) and I did my first design for my sponsorship page. So yes, I am taking sponsorships for the blog. I'm looking to fill three spots for February. Take 50% off if you email me and sign up by January 31st. I've sponsored quite a few blogs and I think from the experience I've learned how I would like to treat my own sponsors. I will take care of you. 3. 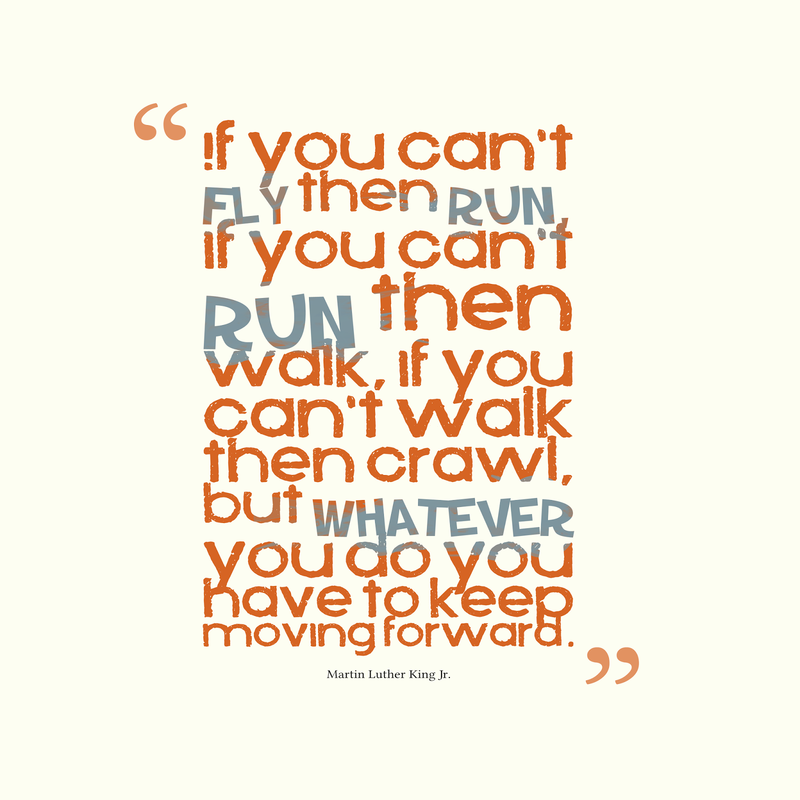 I've been working on a project which has proven to be more difficult than I thought and I almost gave up, but this quote by Martin Luther King has kept me going. I'm going to keep taking the steps or no matter how small and in the way I know how to get it going. 4. If you are a dog lover and have an interest in photography and growing yourself, check out Stephanie of Lattes and Paw Prints blog. If you are looking for a new book to read, she has done quite a few book reviews for you. 5. Check out my Sole Society shoe picks for you. I really love their shoes and want all these but there is no room for any more shoes and no budget for shoes in the near future. Except maybe for black boots which I'm still searching for. Enjoy! I just started using PicMonkey to make better blog graphics as well since I don't have or know how to use Photoshop! I totally don't fully get instagram either! Hence, why I have only 1 picture uploaded...haha I'm now following you! I still find instagram a little confusing...lol love the 5 things post. Hope your year is going great!